I hear her Roar! When the next strong woman rises, we'll be there; We'll hear her roar! Meanwhile, RESIST!!! Hillary herself has looked at the delegate numbers and has decided to support Barack Obama. However, I have no less regard for Hillary Clinton than I did back in March when I decided to vote and support her. In fact, my respect and regard has actually increased. But in June 2008, Hillary did the right thing because we need change, and we need it fast. We need to elect a Democrat for the White House because Bush war policies and economics are not working! And John McCain, although an admirable man and great war hero, promises more of the same. Senator Hillary Clinton fought the good fight, but given her delegate numbers, she has decided to suspend her campaign and work for Barack Obama's presidential bid. If you wish to support Barack Obama, see ObamaPresident.org and BarackObama.com. Consider making a financial pledge to BarackObama.com, Obama's official campaign fund. None of these funds will go to PresidentHC.com or ObamaPresident.org, for these are grassroots organizations that do not accept or need financial contributions. 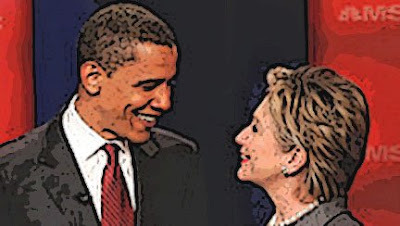 PresidentHC.com is not officially connected to HillaryClinton.com, BarackObama.com, or to the Democratic Party. The webmaster is just an ordinary private citizen, a former Independent, now registered as a Democrat, who supports Hillary Rodham Clinton's quest for the Presidency. 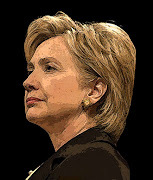 PresidentHC.com is not affiliated with HillaryClinton.com, any other Hillary Clinton site, or the Democratic Party. This is a grassroots site, dedicated to spreading the word about Hillary Clinton and her ideals through a team of 100 ordinary citizens who believe in the power of the free internet as a conduit for political action. Therefore, PresidentHC.com does not need or accept any political donations.